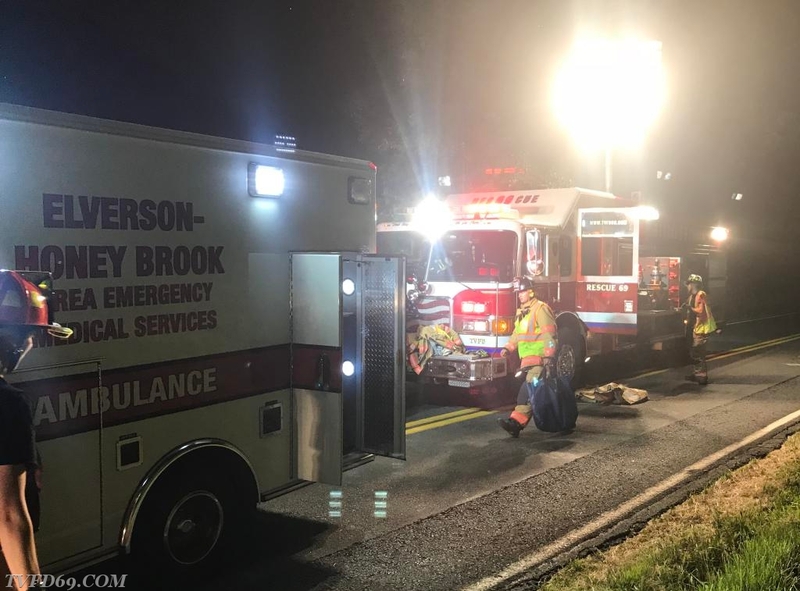 At 9:57pm, TVFD and EMS were dispatched to an automobile accident in the area of Route 345 and Reading Furnace Road in Warwick. 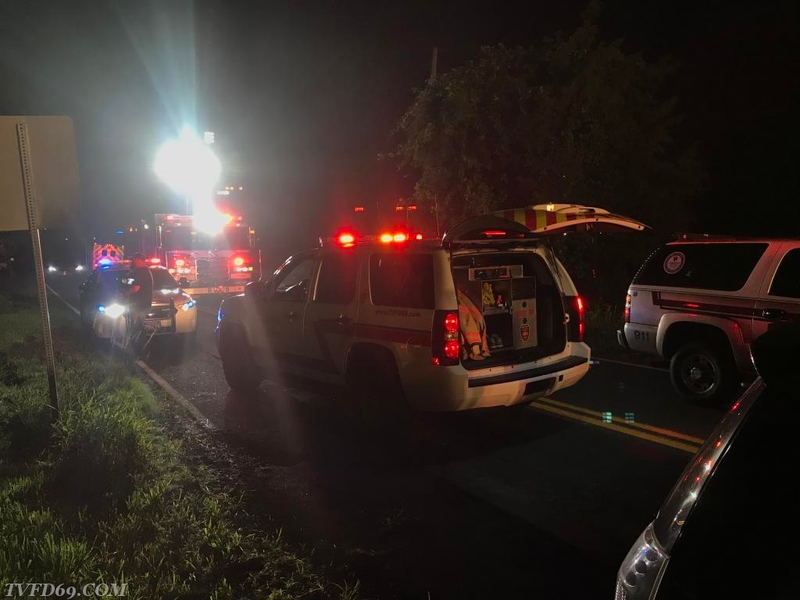 Shortly after the original dispatch, the assignment was upgraded for possible entrapment adding another ambulance and a medic unit. 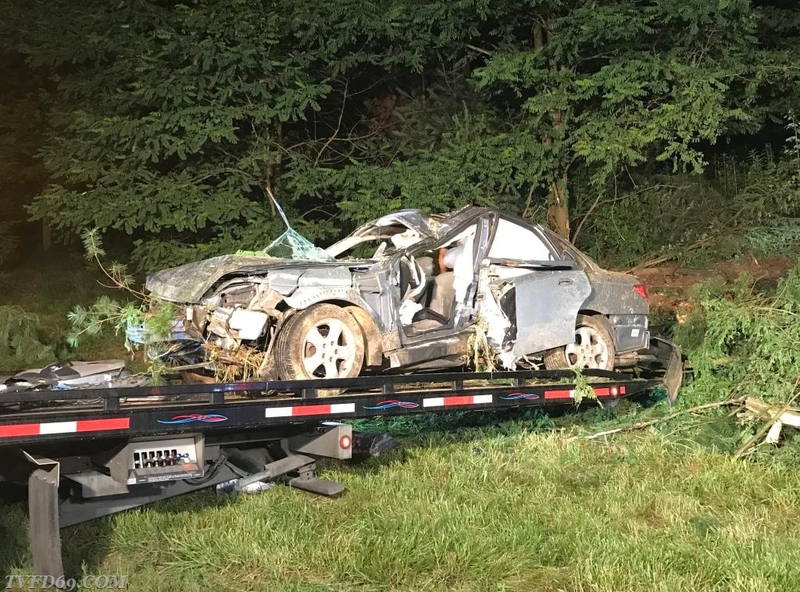 Ambulance 89-1 arrived on location confirming a single vehicle into a tree with 2 subjects heavily trapped and unconscious. 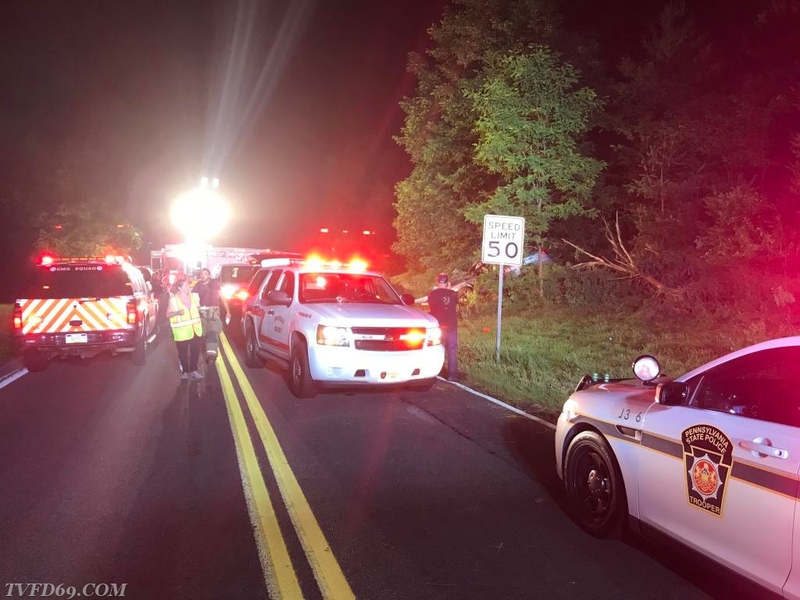 Medic 93 placed a helicopter on standby, as Chief 69 (Brooks) arrived and established “Bulltown Road Command”. 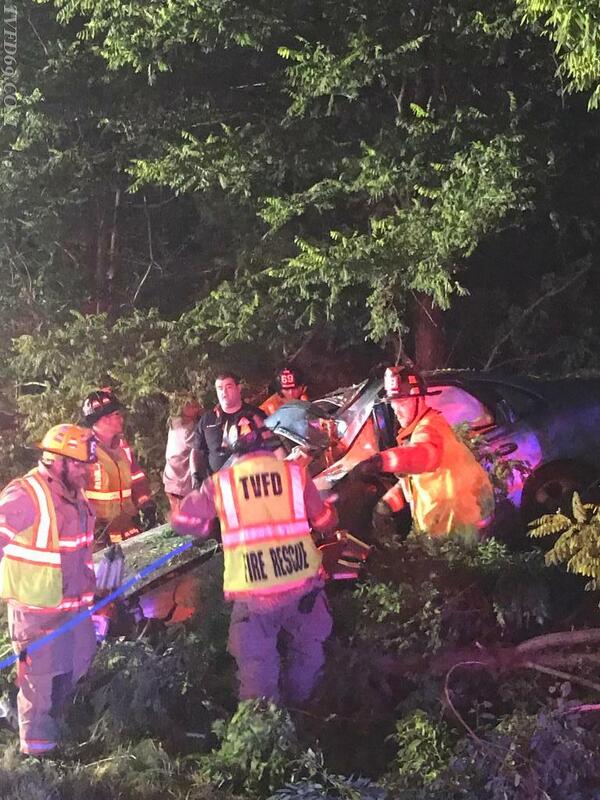 Rescue 69 and Engine 69-1’s crews began extrication and assisting EMS with assessing the victims. Unfortunately both victims were determined to have succumbed to their injuries and the helicopter was cancelled by command. 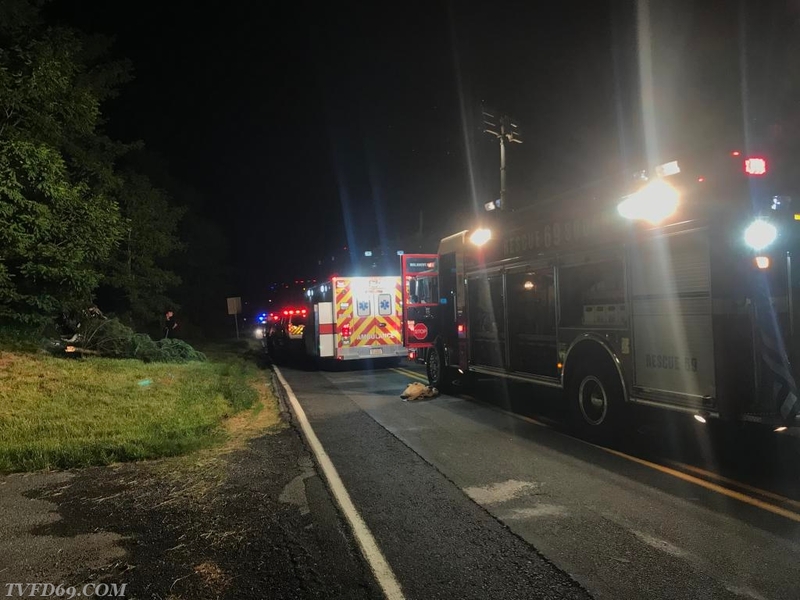 Extrication was completed and crews stoodby, while fire police closed the roadway for an extended period of time during the State Police investigation. 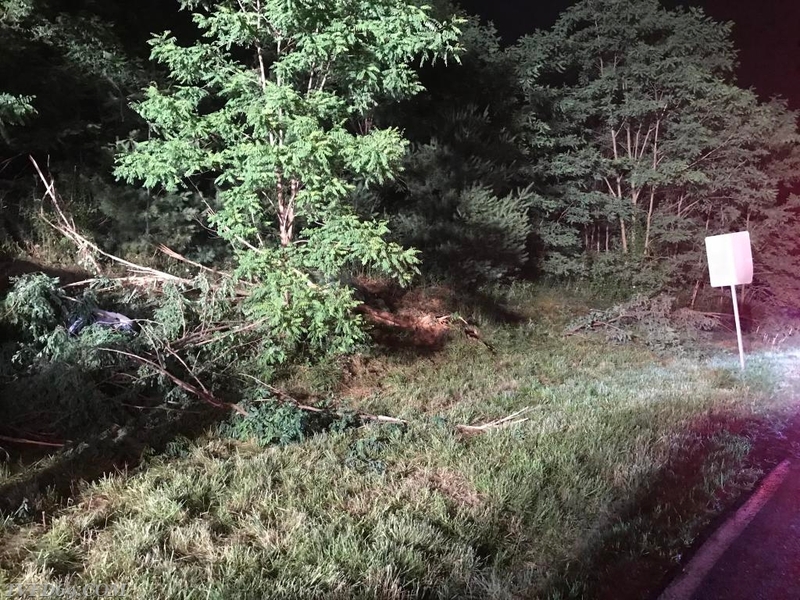 Scene cleanup was completed, and all units cleared available. Final units returned at 1:14am. **TVFD expresses our deepest regards to the victim's family And friends. Thank you to the responders!